On Tuesday afternoon, at the stately Thurgood Marshall courthouse in downtown Manhattan, Beastie Boys and Monster Energy Drink finally squared off. On Tuesday afternoon, at the stately Thurgood Marshall courthouse in downtown Manhattan, Beastie Boys and Monster Energy Drink finally squared off. It was nearly two years ago that the band filed their lawsuit against the excitable energy drink maker, alleging that their music had been illegally used in the company’s advertising. But unlike in their recent tussle with GoldieBlox over unlicensed tunes, in all that time, no settlement had been reached. And while Monster has already conceded that they did, indeed, use music without asking, they’ve attempted to chalk it up to an honest mistake, and thereby reduce the amount they owe — which, by Beasties’ lawyers’ estimations, comes out to a cool $2 million. And so, the battle was on. Quickly, the reason why this particular video might have so rankled the band became clear. It turns out the Monster event took place only days after Adam Yauch passed away, which meant a lot of the DJs playing the event paid homage by playing Beasties songs; then, in the corresponding ad for the sickly sweet caffeinated beverage, an opportunistic, ungainly “RIP MCA” is tagged on. Taking the witness stand, Horovitz explained that the band, since the beginning, had agreed never to do product licensing: “as musicians, it’s a form of selling out.” When asked if they might have approved this, in the particular case of Monster, he defiantly answered “absolutely not.” But he reserved particular disdain for pointing out how, “in the Monster green logo, it says ‘RIP MCA. '” (Making this all tougher: For what presumably were technical legal reasons, Horovitz had to state when and how Yauch had died.) It seemed the band felt Monster was attempting to slyly shepherd the outpouring of love and respect that followed the passing of Yauch into its own camp — as the phrasing of the lawsuit put it, “confus[ing] the public into believing that plaintiffs sponsored, endorsed and are associated with defendant Monster.” And if turns out to be the case — yes, that’d be super fucked up. But the best stuff came during the cross-examination from the defense. 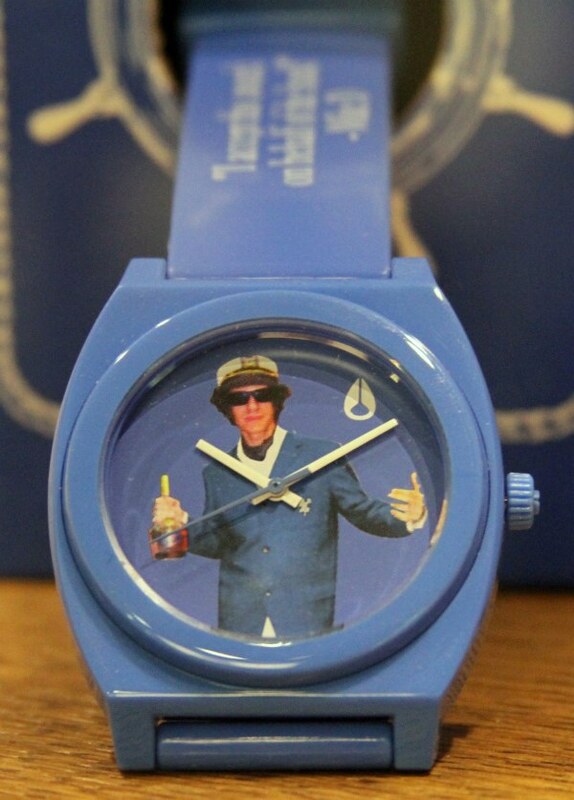 Seeking to mitigate their action by proving that the band has, in fact, done product licensing before, a lawyer for Monster brought up The Mike D Watch, an item produced by the company Nixon a couple of years back. It was both true and not that this was a prior case of product licensing: As Nixon explained at the time, sales of the watch benefited “WKCR-FM, Columbia University’s non-commercial student-run radio station … located in Beastie Boys’ hometown of New York City and … chosen as the beneficiary by the group themselves.” (Side note: The settlement from GoldieBlox is also going to charity.) But first, in another bout of exhaustive legal technicality-ism, the lawyer had to establish that the watch in question was, in fact, the watch in question.